Over a quarter million documents, including deeds, mortgages, military records, surveys, plats of subdivisions, release mortgages, state and federal liens, judgements, and miscellaneous documents. Beginning in 1830 and continuing to the present. The Coles County Clerk's Office records nearly 12,000 valuable records in an average year. 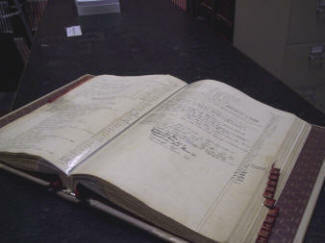 Coles County records are open to the public. Free access to indexes from December 1978 to the present is available to those searching Coles County Records. Actual copies of documents from April 25, 1996, to the present are available for purchase. This is a subscription based service that allows users to search in much the same way they would at the terminal in the Recorder's Office. For support call (563)345-1283 If a customer is interested in using Laredo they must contact Greg Sullivan at (563)345-1280. To download Laredo go to www.fidlar.com. Select the Products dropdown. Select Laredo from the list. Choose State and County. This is an on-demand service designed for occasional users. Users: Infrequent Searchers that need quick access to a record. Tapestry utilizes a unique pay-as-you-go method I which you can pay with your credit card on our secure internet site. Frequent Tapestry users also have the option of opening a member ship account with a credit card or taking advantage of our open account payment plan. Tapestry maintains consistent search charges for all participating counties. Search by Party Name, Start Date, Legals and more for $6.95. In addition to $6.95 per search, a $1.00 per page fee is applied. To inquire please contact Support at (563)345-1283. Coles County is now ready to electronically record your documents. eRecording Partners Network (ePN) is based in Minneapolis and bridges the gap between submitters and counties across the nation. With one of the fastest growing networks in the industry, and with already existing connections to hundreds of counties nationwide, the gap between submitters and counties can be bridged through ePN! Just contact ePN at 888-325-3365 or sales@erecordingpartners.net or visit their website www.erecordingpartners.net to start eRecording today! Corporation Service Company (CSC), a pioneer of the electronic document recording industry, has more than 110 years of experience serving the corporate, legal and financial communities. CSC was recognized by the 2012 Mortgage Technology Awards for their impact on the mortgage industry. Electronic real estate recording systems make it possible for county recorders and registrars of title to serve their customers more effectively and efficiently than with traditional paper-based recording systems. You may download the required Plat Act Affidavit here. Recording fees and revenue tax stamps are payable to the Coles County Recorder in the form of cash, check, or money order. Subdivision Plats: The maximum size is 30" X 21". Plats must include one mylar and four blueprints; file covenants and restrictions as separate documents. Plats must include school district, flood zone, and parcel ID number. UCC Filings: Each UCC Filing must be marked "to be filed in real estate records" and include legal description. Amendments and terminations must include original document and UCC numbers. "Classification of documents to be recorded is the Sole Discretion of the Coles County Clerk/Recorder"
PLEASE NOTE: ALL Land Related Documents must have parcel ID#S and Plat Act Affidavit. PLEASE NOTE: Upper 3x5 right hand corner must be clear for our recording information. Cover sheet required if corner is not free.